I have seen the name Recyclebank floating around the internet and an occasional mention in a magazine for months but I never really checked it out. Until now, appropriately just before Earth Day. I wish I had checked it our sooner because it is pretty cool. You sign up with Recyclebank and take “green” actions, like a fun interactive quiz or recycle at home, to earn points. You then redeem those points for great FREE rewards. That’s it, in a nutshell. What rewards can you get for FREE? You can get FREE rewards with as little as 10 points. Obviously, the more desirable FREE items will be for more points. For example, a FREE Magazine will be about 150 – 250 points and a FREE $10 Walmart Gift Card is 2500 points. BUT – I did earn 220 points within about 5 minutes of joining! It is really easy to earn a lot of points. So, I could already get a FREE Magazine, but I would rather wait until I’ve collected enough points to get something more useful to me like a FREE Gift Card. There are new point earning opportunities all the time. All in all, I think Recyclebank is a great program. It would be great to get kids involved as well so that they can learn about recycling and green living. It’s a win-win-win – the Earth benefits, you benefit and the manufacturers that participate benefit. 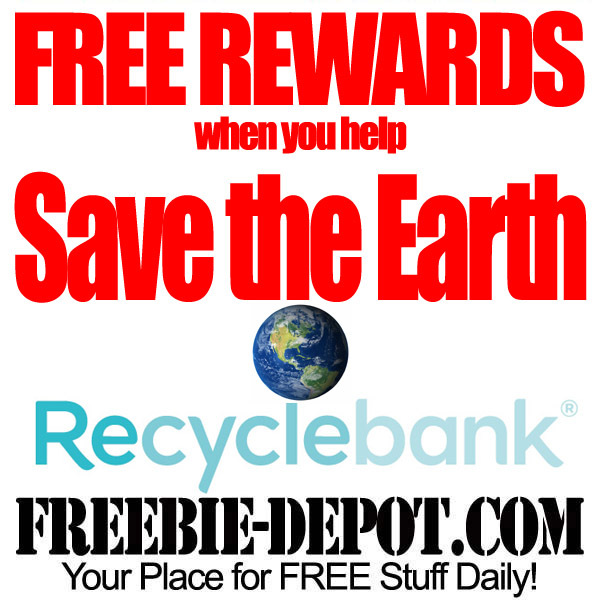 Join Recyclebank – Sign up to start earning your FREE rewards today! Wow, rewards just for recycling! You can’t beat that! I go on there all the time, and have about 5 on-going magazine (good ones too) subscriptions right now thanks to them.